As we prepare to celebrate Christmas amid the rampant commercialism, hectic shopping, decorating, wrapping, cooking, and frayed nerves, may we pause to reflect on the significance of John. 1:14 to our celebration. Here in this text, the Apostle John distils the entire message of the Bible and declares that the Word—the eternal God who existed before time and history, who spoke into existence the universe and all living things—became flesh and appeared among us as a human baby! The invisible, infinite, supernatural Creator became the visible, finite, flesh-and-blood Jesus of Nazareth! In one sentence, John covers the 33-year life span of Jesus and reminds us that we actually saw the glory of God in Jesus. Just as the Shechinah—the glory and presence of God—appeared among the Israelites in the wilderness (Ex. 16:10; 24:16; 40:34), so was God’s glory revealed in Jesus at his birth (Lk. 2:14, 30-32), transfiguration (Mt. 17:2; Mk. 9:3), death, resurrection, and ascension (Jn. 7:39; 12:16, 23, 28; 13:31,32). The glory seen in Jesus came from the unique Father-Son relationship that he had with God before the universe was created (Jn. 17:5), and permeated his earthly life and ministry. We not only saw the glory of God in Jesus, but also the fullness of God’s grace—the limitless mercy, kindness, and love of God for sinners—and the embodiment of the truth of God’s nature and characteristics. And as Jesus prepared to return to his Father, he promised that he would not leave us alone, but that his Holy Spirit of truth would be with us to teach, guide, comfort, and help us. So as we gather with our families and friends this Christmas, may we find time to give thanks to God that he did not stay remote and aloof from us in his heavenly realm, but, through Jesus, identified with our humanity, loved us, suffered for us, and ultimately died for our sins in order to redeem us and give us fullness of life—now and for all eternity. would give sight to the blind man? the dead will live again! But, no, Mary did not know–not at first, anyway, and not fully. She knew that her baby was special and that he would become the Messiah who would save his people, but she would not comprehend the full meaning of his messiahship until she began her daily walk with him during their life together and until she experienced his death and resurrection thirty-three years later. She had to see his birth from the perspective of his sacrificial death and resurrection before she could fully know and understand. Until we accept his grace and forgiveness through his death and resurrection, and begin our daily walk with him, we will never be able to fully understand or celebrate his birth and the true meaning of Christmas. Only then does the real Christmas come alive for us. Only then are we able to really celebrate his birth. And as we do, we will discover a magnificence, a glory, and a mysterious divine presence that will touch us in the deepest recesses of our beings–bringing comfort, strength, healing, and peace, no matter how trying and difficult life might become. Oh, may you know and celebrate–really celebrate–Christmas this year. 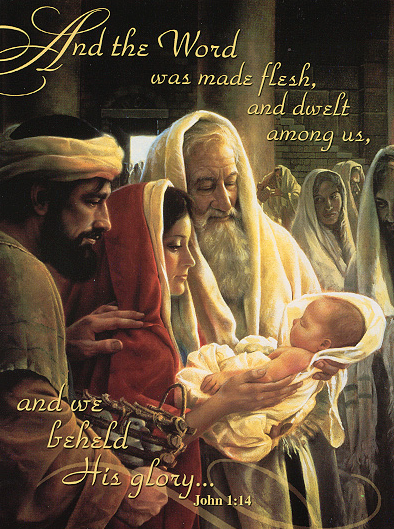 The Gospel of Luke is the only one among the four gospels that tells the story of an angel appearing before lowly shepherds to announce the joyful news of the birth of a child who would become the long-awaited Savior—The Messiah—and to invite them to visit the baby in a nearby stable in Bethlehem. How startling and thrilling it must have been for the shepherds to see not just one angel—but, suddenly, a vast number of heavenly hosts praising God! These angelic fighting forces, with powers like those of the angel in 2 Kings 19:35 who single handedly killed 185,000 Assyrian troops in one night, appeared in the radiance of God’s glory—not to fight that night, but to praise God and herald the Messiah’s birth. It was customary to have local musicians greet newborns and their parents with songs outside their homes, but Jesus had no such earthly minstrels outside his stable. Instead, his birth was the greatest event in human history and was worthy of a heavenly minstrelsy of millions of God’s angels (as in Rev. 5:11-13). Their song—a couplet with three parallels in each line: (1) glory/peace; (2) in the highest heaven/on earth; (3) to God/to all whom God favors—gave the highest praise to God throughout the realms of heaven, and proclaimed a message of peace on earth. However, this was not a universal declaration of peace for all on earth, but only “to all whom God favors.” And whom does God favor? He favors all who responds to his love by believing and trusting in Jesus as their Savior and by being reborn as sons and daughters of God (John 1:10-12; John 3:16). This gift of peace is the presence of the Holy Spirit living within believers, guiding them, comforting them, and strengthening them (John 14:26). This is not the worldly peace that depends on the absence of conflict, but it is the peace of the Holy Spirit who gives the believer the confident assurance of God’s love and abiding presence in any and all circumstances, with no fear of either present or future circumstances and outcomes (Romans 8:35-39). And so, during this Christmas season and in the midst of the uncertainties of life today—mass killings, drive-by shootings, economic uncertainties and loss of jobs, failing health, wars, and more—the joyous proclamation by the angels that the Christ Child came to bring “peace on earth to all whom God favors” should inspire us to joyfully lift our praises to our heavenly Father. ‘The Lamb is worthy—the Lamb who was killed. May Christ’s peace rule in your hearts this Christmas and until he returns. After the months of studying for the O Levels and the intense days sitting for the exam, it was a relief to finish the last section of the exam and finally go on Christmas break to await the results in the spring. I got a two-week job in the shoe department of one of the major retail stores on King Street, but instead of repeating the Christmas Eve parade celebration down King Street as I had done the previous year, I chose to go caroling with some friends from Constant Spring Church. One of the young men in the church mounted a loud speaker on top of his station wagon and a number of us piled into the station wagon and drove around Kingston singing Christmas carols. This was my first Christmas as a new Christian, and it took on a whole new meaning. 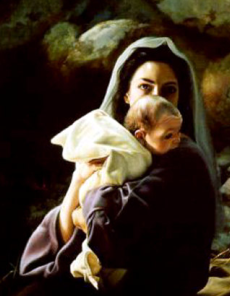 For the first time, through redeemed eyes, heart, and mind, I began to see and understand what Christmas was all about! It was not about Santa Claus, shopping, presents, or parties. It was about the love of God for a lost humanity of which I was a part. It was about a God who, even before he created the universe, planned it that, at the appropriate time, he would visit us in the form of a human baby who would grow up to reveal the true nature of God, and save us from sin’s destruction. It was about a poor, frightened teenage girl who was visited by an angel and given the news that she was chosen by God to bear the child who would become the Savior of the world. It was about dirty, smelly shepherds who, though ignored and despised by their society, were favored by God to be the first to hear heavenly choirs announce the birth of the Christ Child. It was about three wise men who understood the significance of that baby and brought gifts to commemorate his birth and his future ministry and sacrificial death. It was about God’s grace, mercy, kindness, and overwhelming love and generosity to me–and every person who lived or will live–in offering us salvation and eternal life. And so, at eighteen, from the perspective of one who was redeemed from sin and blessed with eternal life, for the first time I understood and celebrated the true meaning of Christmas. And celebrate it I did–with joyful music, carols, worship, and sweet fellowship with fellow believers. That Christmas Eve of my eighteenth year found me reveling–not on King Street with the wild, bacchanal masses but–with a group of young Christians driving through the streets, avenues, and lanes of Kingston singing Christmas carols. Though I had heard many of those carols before, singing them that Christmas Eve night throughout Kingston brought new meaning, significance, and appreciation for their words and tunes. 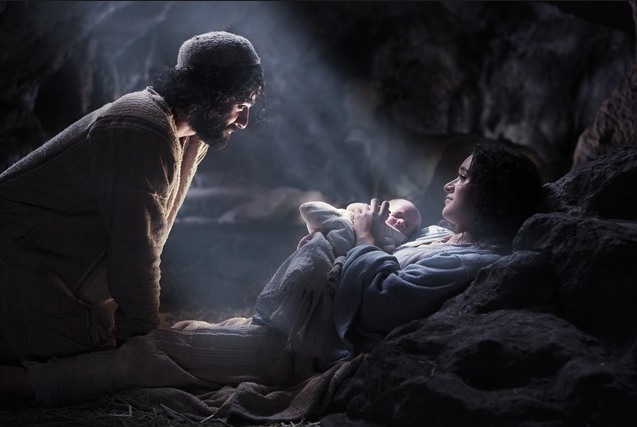 There would be many more Christmases to come over the decades, but this was the year and the Christmas in which I first fell deeply in love with the Christ Child who became my Lord and who was to shape my life from that point on.